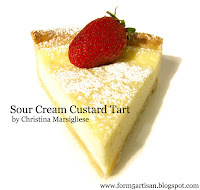 I love this tart! 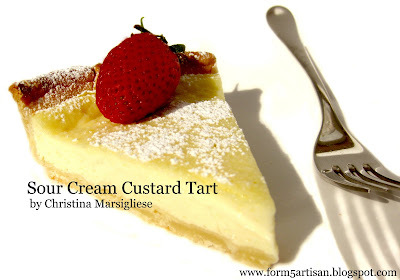 It's so simple and light yet satisfying. It's very straightforward with no gimmicks. 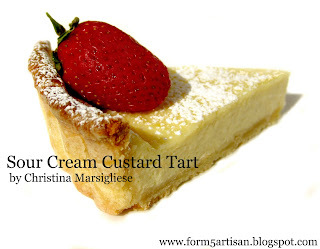 The filling, which has a silky smooth texture reminiscent of silken tofu, lays on a buttery cream cheese pastry crust. It reminds me of a graceful cheesecake as it delivers a subtle cheesecake experience, without the density (which by no means am I disrespecting - I adore a dense, rich, fall-to-the-bottom-of-your-stomach cheesecake!). 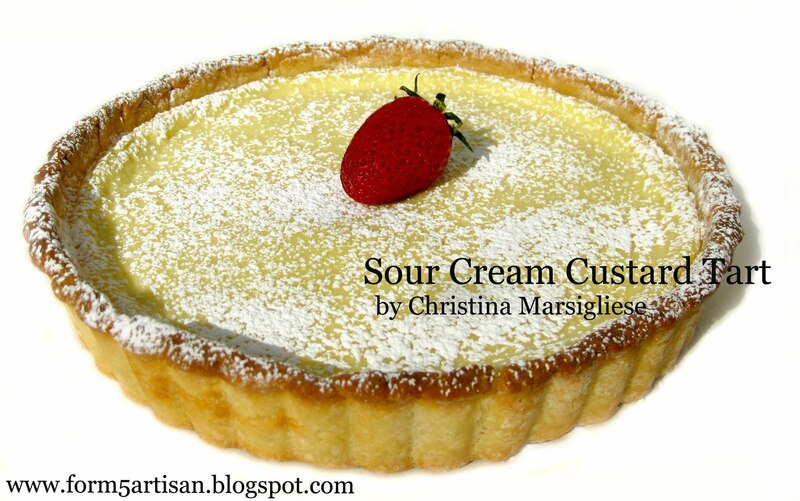 My Sour Cream Custard Tart is a perfect dessert to elegantly continue the theme of a rich meal without overpowering your guests. One egg is all it takes to set the filling into a tight but oh-so-silky consistency. 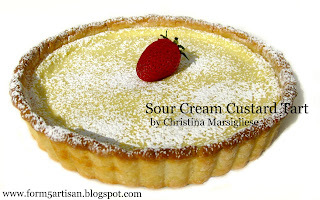 The protein gel network formed by lactic acid bacteria* during the production of sour cream serves to thicken the filling and make it cohesive. Fancy this tart up with a few fresh, seasonal berries and it's good to go. There's not even the need for whipped cream in this scenario.